Geotourist, the travel social media app, is hosting an audio tour of Atlanta’s historic downtown for the Atlanta Chapter of the American Institute of Architects. The buildings included in the tour were built between 1890 and 1930, when Atlanta emerged as the major city of the Southeast for transportation and commercial activity. 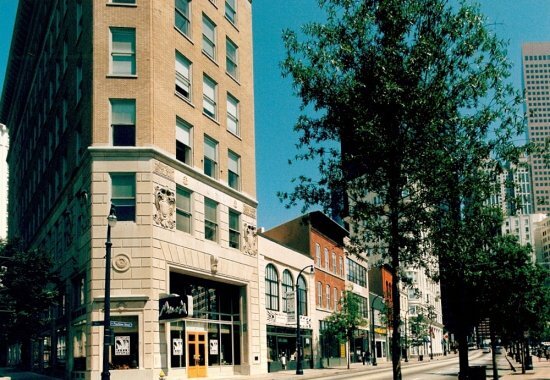 The tour celebrates the architectural heritage and the revitalization of downtown Atlanta. Participants in the tour will witness skyscrapers developed in the style of the Chicago School of Architecture evolve with national trends reviving elements of Gothic, Classical and Colonial styles. The tour starts at the Candler Building on Peachtree Street, developed by Asa Candler, the founder of the Coca Cola Company, and continues south along Woodruff Park. Also included in the tour are the Flatiron Building, which predates the one in New York City; the Hurt Building, one of Atlanta’s earliest skyscrapers; and the C&S/Empire Building in the Fairlie-Poplar Historic District, which counts many buildings placed in the National Register of Historic Places. Visitors will be able to listen to the sites’ stories right on their smartphones. Users can download the Geotourist app and access each site’s audio tour based on their geographic positioning. They can share their favorites and leave comments.